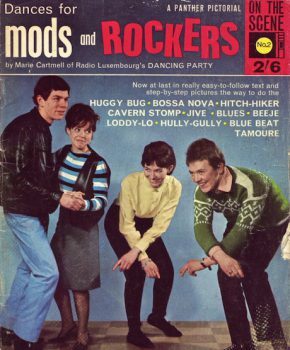 NEW SHOW: Early 60s Dance Crazes (Chubby Checker, The Dovells, The Roulettes, Les Bourgois de Calais, etc.) PLUS The Supremes, David Bowie, The Marmalade, Elvis, Iron Butterfly ** BLUESIDE: Mark Harrison special + Frank Sinatra & Carlos Jobim, Etta James, Fats Domino, Richard Thompson, The Faces, The Kentucky Headhunters *** Repeated: The Casuals, The Bystanders, more blues that inspired The Rolling Stones *** Sunday 03 Feb., 12 noon till 12 midnight, repeated Tuesday 05 Feb., 12 noon till 20:00 hrs *** Time Zone: CET Brussels *** Ed’s Show, 2019-04. LOVE & PEACE Nina Simone: Mississippi Goddamn. HOMAGE TO CATALONIA Llibertat Presos Politics. LOVE & PEACE The Fugs: Kill For Peace (second LP). HOMAGE TO CATALONIA: Llibertat Presos Politics. FORGOTTEN & OVERLOOKED Tee Set, Les Têtes Blanches, James Curtis & The Madisons. SPECIAL THE CASUALS & THE BYSTANDERS + The Climate (aka The Casuals in Italian). LONGPLAYTIME Quintssence: In Blissful Company, 1969 (Notting Hill Gate). FREE SPEECH & POETRY : Mark Rudd (Weather Underground) + Adrian Henri and Andy Roberts: Tonight At Noon. LOVE & PEACE The Chambers Bros.: Where Have All The Flowers Gone. 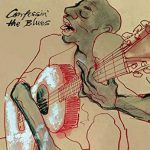 SPECIAL The blues that inspired The Rolling Stones (from 2cd ‘CONFESSIN’ THE BLUES’, disc 2): with Bo Diddley, Chuck Berry, Muddy Waters, Little Walter, Jimmy Reed, Rev. Robert Wilkins, Robert Johnson, Dale Hawkins, Amos Milburn, And More. KEEPERS OF THE BLUES FLAME: Dionne Warwick. Note by Eddy Bonte: The Casuals remained far more popular in Continental Europe, where ‘Toy’ (written by Chris Andrews!) was a greater hit than ‘at home’ (no. 17 in Holland, no. 15 in Belgium). In Italy, they released a single in Italian as ‘The Climate’. Later incarnations of the group were not successful. 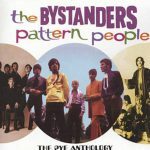 The Bystanders released eight singles in all, none of which became hits but are well worth listening to.